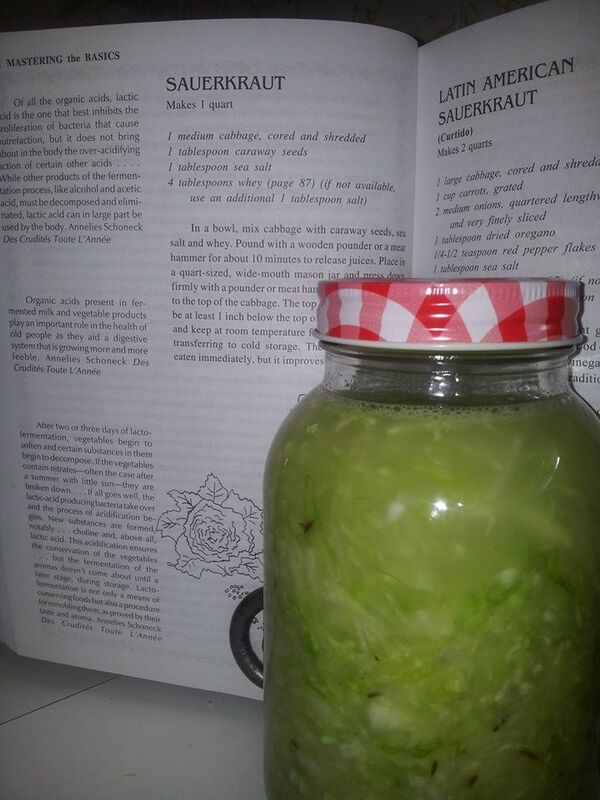 Sauerkraut – the real, home made, easy kind!! I have eaten Sauerkraut since i was about 10 years old. I must have been the only non-German 10yr old who loved Sauerkraut! Sauerkraut and German sausages totally rock! 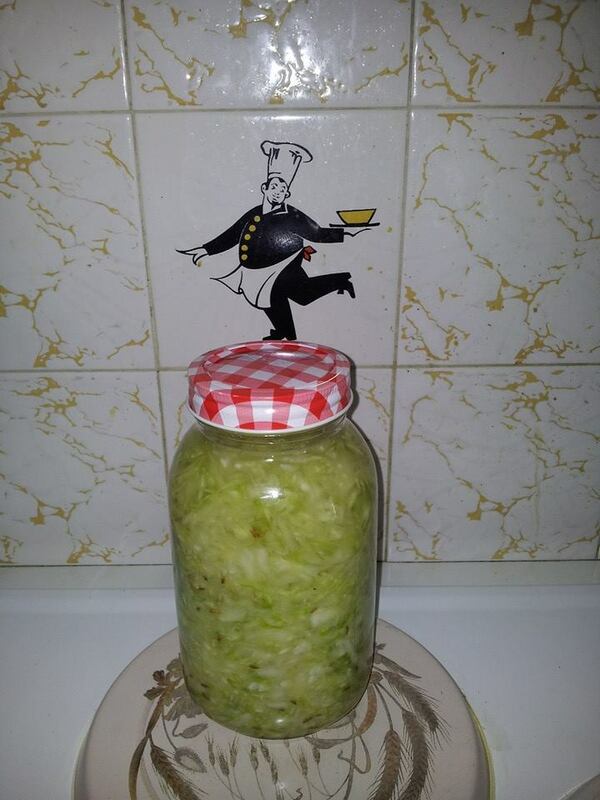 I have tried making it quite a few times but it has always involved a jar of pre-made kraut and a tonne of sugar… and it didn’t taste very good. I don’t know how my grandparents make it, but i think its canned or jar and then they tweek it, and sadly i have no knack for this method. Balancing those flavours is beyond me! Nourishing Traditions and my Kraut! Place all ingredients in bowl and pound until juices are released. 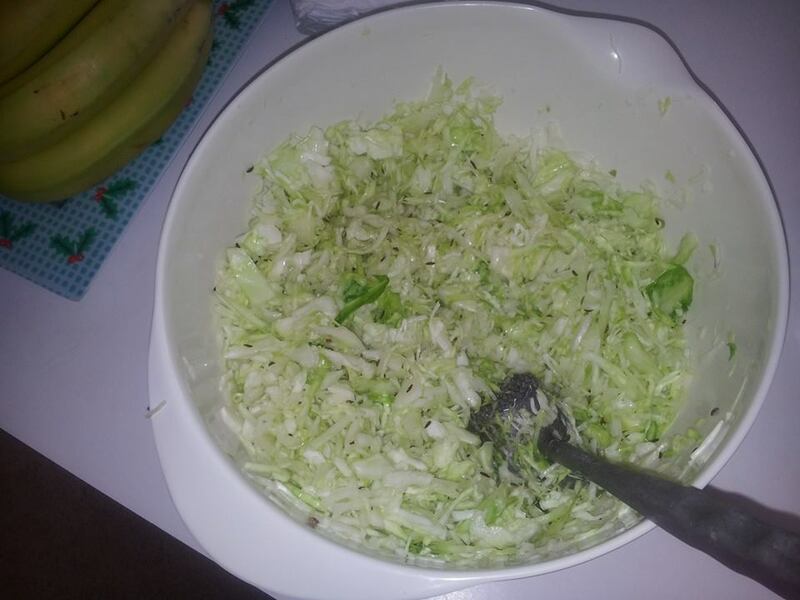 Place into wide mouth mason jar and continue to pound until juice is at least 1 inch above the cabbage. Cap the jar and leave on your bench for 3 days. At this point you can place it in the fridge and start eating it… the flavour will continue to mature over time! Meat basher works just fine.